I’m an exceptional realtor with a unique personal approach. My name is Jonathan Silberman and I’m a full service realtor specializing in historic and architectural homes for individuals and investors in Los Angeles, California. I work successfully all over LA but I have a special expertise in the neighborhoods of Northeast Los Angeles and the surrounding areas, including Highland Park, Mt Washington, Eagle Rock, Montecito Heights, Glassell Park, and Altadena. With over a decade of real estate experience, I combine tremendous neighborhood and market savvy and an exceptional command of the transaction process with an unparalleled level of personal engagement and high ethical standards to create a very different kind of client experience, always focused on my clients and helping them achieve the best results. I care about my clients and it shows. 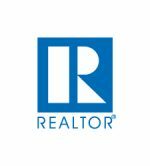 A great realtor represents their client in the best possible way by combining enthusiasm and focused effort with a vast body of real estate expertise, in a manner that considers the individual goals of each client. Real estate for me is about the pursuit of great houses and great people, and the dynamic of bringing them together in the most successful way. I don’t believe in a factory or cookie cutter approach. My focus is on personal service; helping Sellers and Buyers achieve the best results, always representing and advocating for my clients with their best interests as the guiding principle. If you’re looking for experience, savvy and authenticity, you’ve come to the right place. I believe that it takes more than flashy style to achieve great success; you need a realtor like me with substance, informed by genuine expertise and a commitment to each unique situation. As your realtor I’ll always tell it to you like it is, what you need to know, in straight terms without the hype or fluff. I’ll help you to understand what to expect from the process, from readying your home for sale or obtaining a new loan pre-approval, to inspections, all the way to closing… in clear terms so you can feel empowered to march forward with confidence. Additionally, I enjoy helping my clients to visualize and realize the potential of their homes, whether it’s a Seller preparing to list their home for sale or a Buyer trying to find their next home. I’m always happy to lend my thoughts and recommended resources, based on my many years of experience working with and renovating older homes. My clients also receive discounts on Character Projects design services as well as special deals on our Vintage Lighting and Hardware!